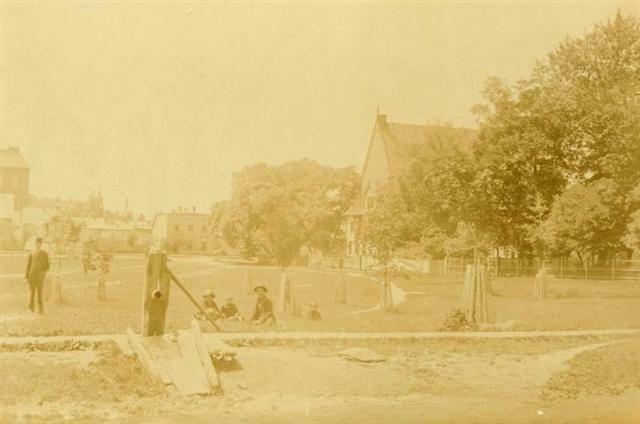 When an outbreak of “low fever” occurred near the intersection of Kent and Prince Streets, it prompted the testing of local wells, which proved to be contaminated, due no doubt to a lack of a sewer system and proximity of water wells to cess pools and outdoor privies. In some cases wells were very poorly maintained and rotting carcasses sometimes found their way in to drinking water. As a result of the contamination finding, the nearby pump was closed and the handle was removed- but kept in case of fire. 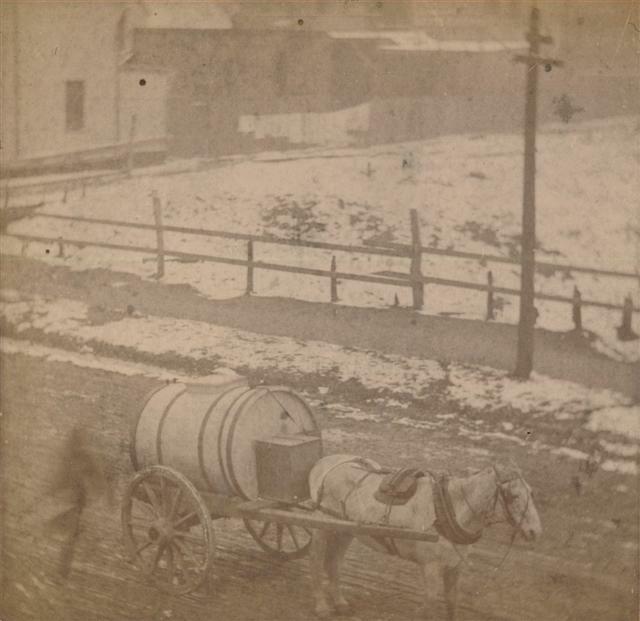 In 1869, Charlottetown City Council licensed James Hughes and Patrick Hann to deliver spring water from Grey’s Spring to the citizens at a cost of no more than 1 penny per bucket. Local businessman, William Heard, a long time advocate for a water system, devised a questionnaire and circulated it to the physicians of the City in the hope that his long standing suspicion- that the water was unsafe- would be confirmed. Although he received a variety of answers, the answer below is particularly shocking. Question: Have you observed any injurious effects resulting from the use of our well water? Answer: I have no doubt that the drinking of this water must be injurious to public health. Horses from the country will not drink the water of the city wells; this is owing to the vast amount of drainage, which finds its way into these wells. Questionnaire by William Heard to the physicians of Charlottetown, 1876 and included in Appendix A of The Murdoch Report.